This Red & White Herringbone Ribbon gives a festive and fun appeal to your holiday projects! 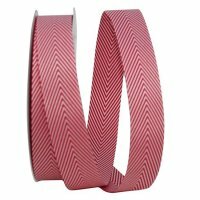 With 4 widths available this Herringbone Ribbon is ideal for creating perfect for embellishment on anything and everything! The Ribbon Diva's fun and fresh Holiday Ribbons are a great addition to any project. 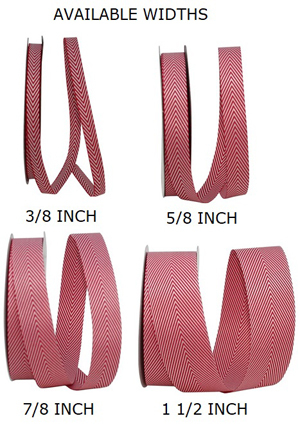 Widths: 3/8", 5/8", 7/8" & 1 1/2"